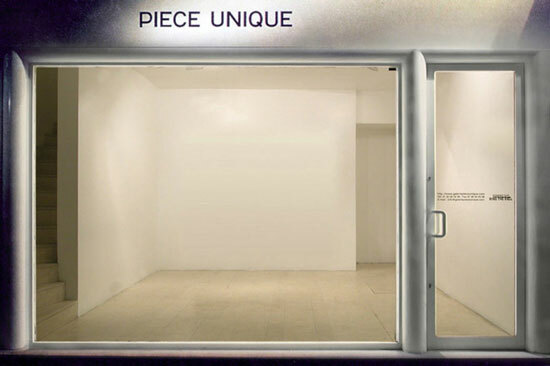 Installed right in the heart of Saint-Germain-des-Prés, the historic gallery Pièce Unique is managed since 1994 by Marussa Gravagnuolo and Christine Lahoud. works of the artist exposed in the window of the symbolic gallery of rue Jacques Callot. Every year, Galerie Pièce Unique participates in the international appointments of the contemporary art in Paris and in Italy, but also in the United States, in Asia and in the Middle East. The choices of the gallery are guided by a look open on all the horizons, without preconceived ideology, but with a requirement of coherence as for the approach of the artists supported. This permanent dialogue that Marussa Gravagnuolo and Christine Lahoud maintain with the artists is one of the strong values of the gallery.